Last winter was a really harsh one (at least by Baltimore standards) and one of our two hydrangeas almost didn’t make it. It grew back just from the roots and I had to cut off all the old growth. This is in the back of our house. In our front yard, near our rock garden/strawberry patch, we have another hydrangea that survived completely unscathed by the winter. I was a bit mystified as to why the one almost died and the other one was fine until our morning with Cathy, one of our neighborhood master gardeners. She explained to me that the colored hydrangeas are hybrids, having been bred for color. 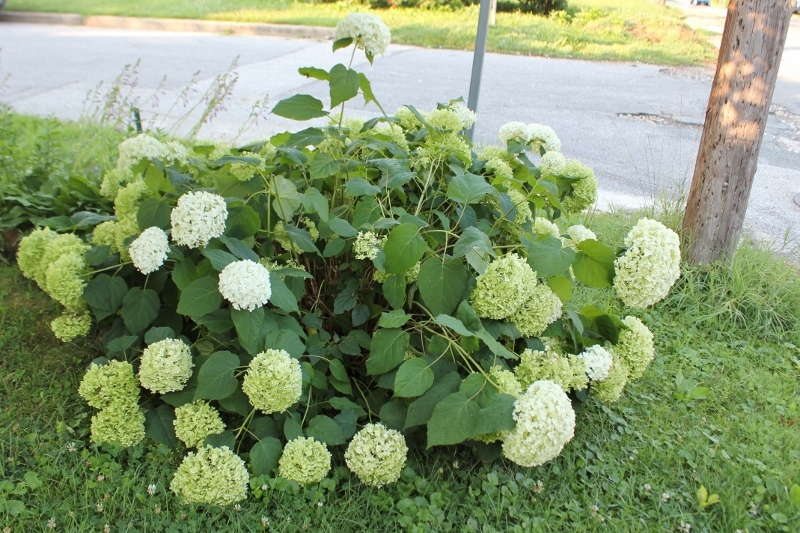 The white/light green ones are the original native hydrangeas (i.e. the ones just found in nature) and are naturally more resistant to cold and better suited to growing in harsh environments. She told me that she’d heard the same story from lots of gardeners – that their hybrid hydrangeas had died back this past winter but their natives had come through easily. Native plants for the win! For landscaping, we’re sticking with natives from now on! But wait, you noticed the fig leaves in the top picture? one Chicago Hardy and one Brown Turkey – we forgot which is which! Figs are decidedly NOT native to Maryland (being from the Mediterranean) but when it comes to edibles, we’re happy to coax along plants and bushes that give us good things to eat. We planted both of these last summer (terrible timing, we know) but thankfully, the root balls and the bottom few inches of the trees survived the winter. 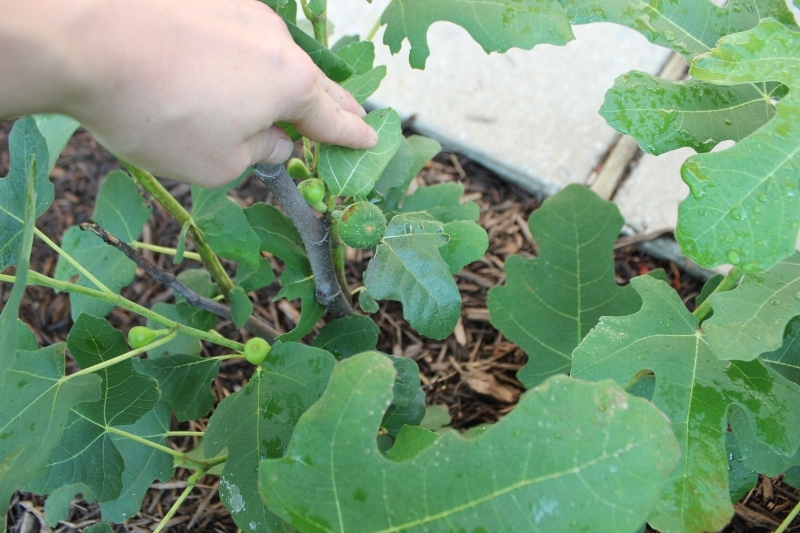 And now look – baby figs! Well, that’s exciting! Figs! Have you dried any of the hydrangeas? I haven’t, Mom but that’s a great idea. If any of them survive the thunderstorms today, I’ll pick some and try it! 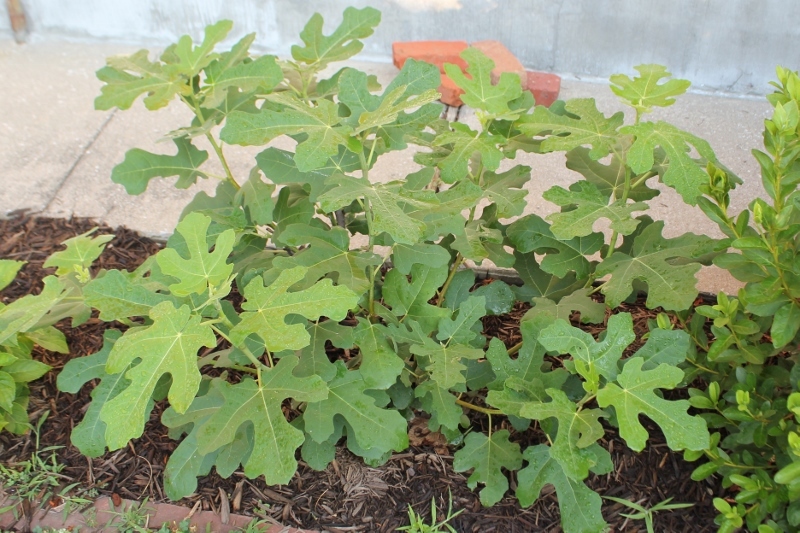 Denise Stiles’ dad gave me a fig tree he’d grafted himself, and I put it in a sheltered part of the yard, and it did fine for several long years, got lots of figs off it last year. And then this winter took it down to the roots again. I have shoots coming up, but I don’t think I’ll get any figs this year. 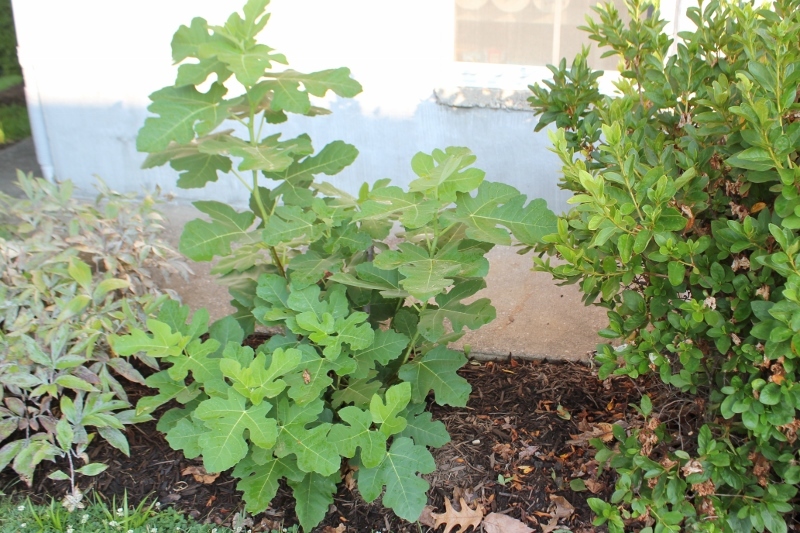 Of course, we’re trying to sell the house, so it will become someone else’s fig tree. A lot of trees and plants (the Japanese maple you were a part of gifting to us) that were gifted to us will hopefully bless someone else with a green thumb. 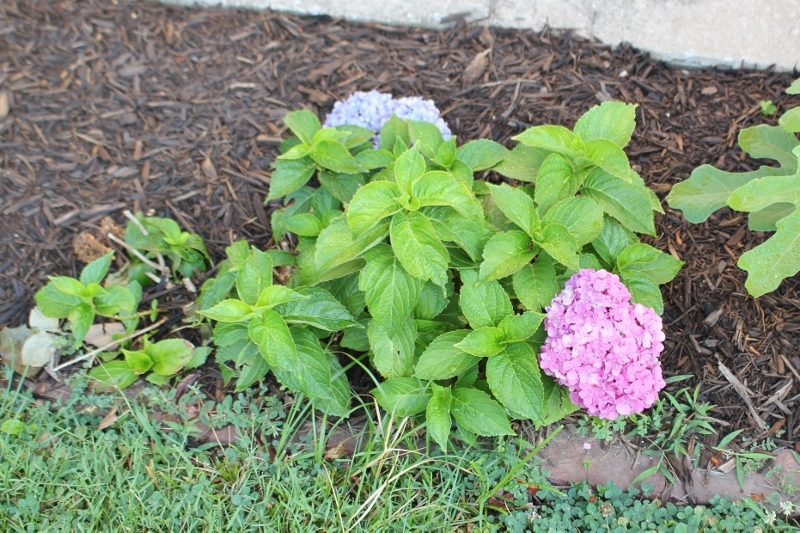 Oh, my pink hydrangea died back to the roots too, no blooms for me. That’s so cool that you got a fig tree from someone like that. Maybe you can take a shoot from your yard to plant at your new house? And lots of people have told me that their colored hydrangeas died or at least died way back so I’m glad to know we’re not alone. And yes, it’s hard to leave plants behind. I’ve been thinking about that recently with our house (not that we’re planning to move) but that planting trees are such an investment, potentially in someone else’s future.